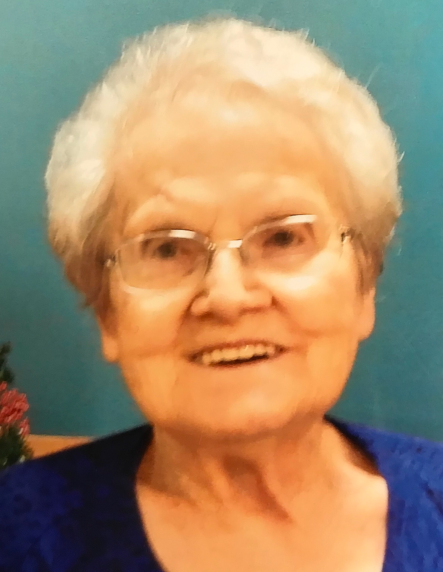 Doris Jones, 89, of Decatur, Indiana, passed away on Tuesday, April 2, 2019, at Adams Woodcrest. She was born in Jeannette, Pennsylvania on September 7, 1929, the daughter of the late Franklin and Margaret (Henry) Harrold. On July 17, 1959, she married Randolph T. “Randy” Jones and after 29 years together he preceded her in death on December 10, 1988. She was a longtime member of First United Methodist Church in Decatur. Doris worked as a teacher’s assistant for North Adams Community Schools, retiring with over 30 years of service. She was an avid Bridge and Bingo player. Doris is survived by a son, R. Terry (Betsy) Jones of Rockingham, NC; 2 daughters, Kathy (Tim) Baker of Decatur and Margaret (Kirk) Rodenbeck of Ft. Wayne; 5 grandchildren and 6 great grandchildren. She was preceded in death by a twin brother and 2 sisters. A Funeral Service will be held at 11:00 a.m. on Saturday, April 6, 2019 in the Adams Woodcrest Porter Auditorium, with visitation 1 hour prior to service from 10:00 a.m. – 11:00 a.m. Pastor Amy Covington will be officiating and burial will follow in the Decatur Cemetery. In lieu of flowers, memorials may be made to First United Methodist Church or the A.C.C.F. North Adams Student Fund. Arrangements are being handled by Haggard-Sefton-Hirschy & Zelt Funeral Home.